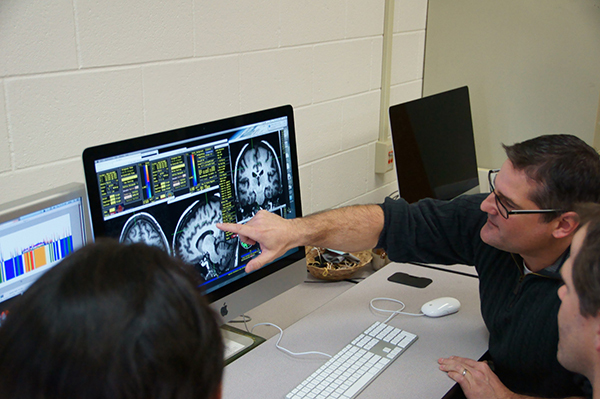 A study from the Madison VA Hospital in Wisconsin has shown that structural damage in the white matter of the brain may be linked to chronic musculoskeletal pain in Gulf War Veterans. The results appeared online Aug. 8, 2017, in the journal Pain. "Changes in brain white matter show that there is something wrong in the central nervous system that may explain why the Veteran is experiencing widespread pain." Evidence has suggested that Gulf War illness symptoms are related to structural changes in the brain. A 2008 report by the VA Research Advisory Committee on Gulf War Veterans’ Illnesses linked decreased white matter volume to Gulf War illness. In the new study, the researchers were looking for brain structural damage specifically linked to pain. To do so, they recruited 30 Veterans with chronic musculoskeletal pain from operations Desert Storm, Desert Shield, and Iraqi Freedom. They also tested 31 Veterans of these conflicts without chronic pain, for comparison. 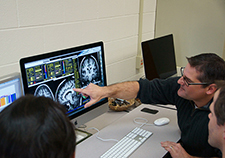 The researchers took MRIs of each participant’s brain. They used a technique called diffusion tensor imaging to study the spread of water through the brain. Water tends to diffuse along the direction of the axons, the researchers explain, meaning that MRI can be used to map the structural integrity of white matter. 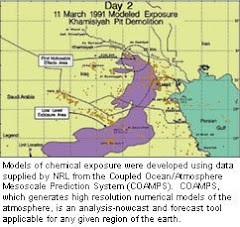 One study by Georgetown University researchers was able to tell the difference between patients with Gulf War illness and those without by using diffusion mapping. Finding disruptions in white matter that are significantly related to the experience of pain is an important step towards determining the mechanisms of chronic pain in Gulf War Veterans, explains Cook. 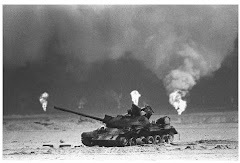 The findings “emphasize that chronic pain in Gulf War Vets and perhaps Gulf War illness affects the central nervous system.” Other chronic pain conditions and diseases are categorized as central nervous system diseases, but Gulf War illness is less well understood. Figuring out how Gulf War illness affects the central nervous system and causes pain can help doctors understand and treat the condition.